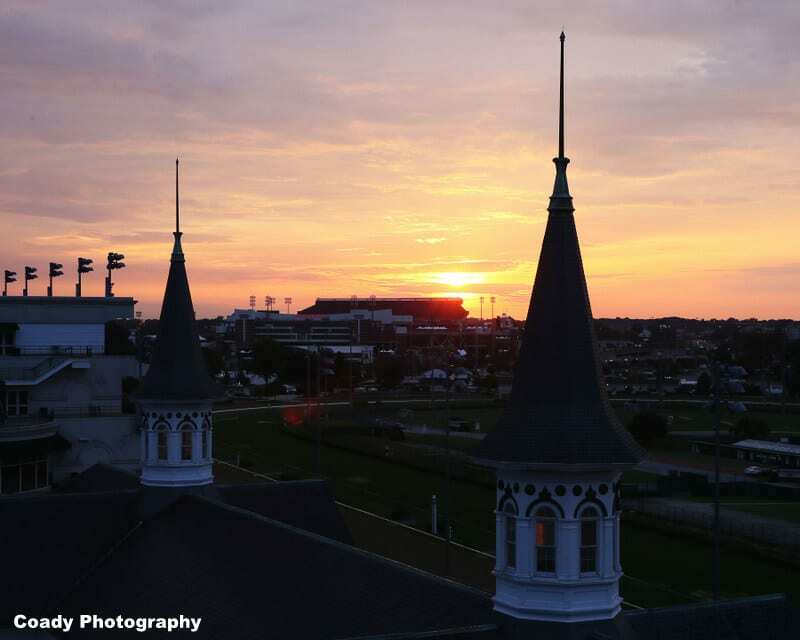 Horse racing on the Kentucky circuit shifts to Churchill Downs on Friday (Sept. 14) with a 10-race program at 12:45 p.m. (all times Eastern) as the famed Louisville racetrack opens its sixth September Meet for an action-packed 11-date run through Sunday, Sept. 30. This year's three-week, boutique race meeting, presented by Commonwealth Technology, will feature record purse levels. Horsemen can compete for $5.275 million in prize money offered in Director of Racing Ben Huffman's 109-race September Meet condition book, which averages to $479,545 per day. Last year, an unprecedented $4.692 million was paid to horsemen for a daily average of $427,000, which was up 12% from the prior year. Inaugurated in 2013 by request from Kentucky horsemen, the three-week September Meet provides area horse owners, trainers and jockeys a viable racing option to compete for ample prize money mainly on dirt during an important time on the racing calendar in advance of the popular Keeneland and Churchill Downs fall meets. A total of 97 horses and four also-eligible entries were drawn Tuesday for Friday's opener for a lofty average of 9.7 horses per race. The average field size during last year's meeting was a September record 8.9 horses. The 10-race card features a trio of allowance races and two maiden special weights. The featured ninth race at 4:53 p.m., a $60,000 allowance/optional claiming event ($100,000 claiming tag) over seven furlongs, attracted a field of nine 3-year-olds, including Three Chimneys Farm's Principe Guilherme, the Lecomte (Grade III) runner-up who'll make his first start for Hall of Fame trainer Steve Asmussen since finishing seventh at odds of 5-2 in the Feb. 17 Risen Star (GII) at Fair Grounds. Five of his rivals are stakes winners, including Ellis Park Derby runner-up Kowboy Karma; last year's Ellis Park Juvenile winner Dak Attack, who will make his first start in 251 days; Hutcheson Stakes (GIII) winner Madison's Luna; and 2017 Arlington-Washington Futurity champ Barry Lee for Sagamore Farm's new trainer Stan Hough, who will saddle his first starter since April 5, 2012. “Stanley Hough has been breaking the young horses for Sagamore Farm in Ocala, Fla. the past couple years,” Huffman said. “I just remember 20 years ago when he was training stakes winners all over the east coast and Florida. He's a really good trainer and he's going to train privately for the Sagamore Farm of Kevin Plank. He called me the other day and he will be here for all of September and Fall. He even mentioned he may be looking to buy a home in Louisville. With the Breeders' Cup World Championships set to return to Churchill Downs during the 21-day Fall Meet on Nov. 2-3, several new trainers will have horses stabled at the Louisville track for the first time in many years, including Keith Desormeaux, two-time Kentucky Derby winner Nick Zito and newcomer Chad Summers. “A big part of the Breeders' Cup being here at Churchill Downs is that we are going to have a lot of people that are trying to get a run over this track,” Huffman said. “When Breeders' Cup is here, that always helps your stakes races. “Nominations haven't even closed for the (Grade III, $200,000) Lukas Classic (for 3-year-olds and up at 1 1/8 miles on Sept. 29) but I can already tell you (three-time Grade I-winning sprinter and Whitney runner-up) Mind Your Biscuits' next start will be in the Lukas Classic. Also, Toast of New York is coming from Europe to get a trip over the track prior to the Breeders' Cup. Things like that helps our other stakes races. A major focus for many horsemen during the second of the year is the development of 2-year-olds. Friday's eighth race, a $56,000 maiden special weight at one mile, attached 13 two-year-old fillies, and it's the first of 16 maiden, allowance or stakes races for juveniles during the September Meet. This entry was posted in Racing and tagged Ben Huffman, Breeders' Cup, chad summers, churchill, churchill downs, dak attack, field size, Keith Desormeaux, nick zito, september meet, Toast of New York by Press Release. Bookmark the permalink.